A poncho-wearing robber on Sunday holds up a Collinsville bank. He is warm, dry, armed and dangerous. 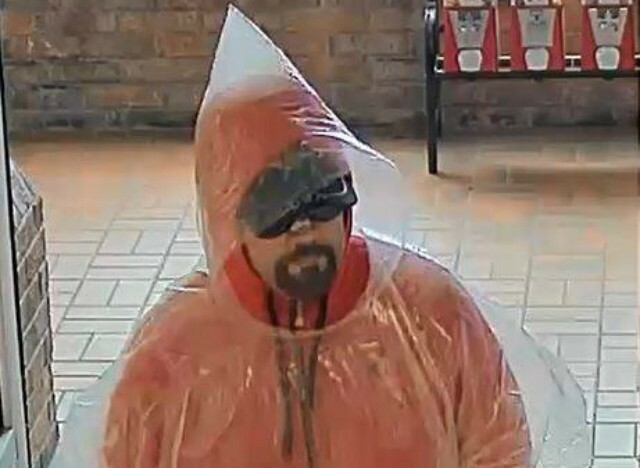 A goateed stickup man, dressed in a poncho, robbed a U.S. Bank branch on Sunday inside a Collinsville grocery store, police say. The robber stepped to the service counter at Schnucks about 2 p.m. and demanded money. 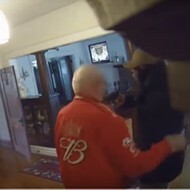 Under his short-sleeve rain gear, he wore a bright orange sweatshirt, and under that, he had a pistol tucked into the waist of his light-blue pants, police say. 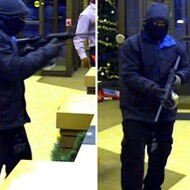 The man lifted his jacked to show the gun to a bank employee, who forked over an undisclosed amount of cash. Police say the robber put the money in a bag, walked out of the store and ran north from the Schnucks parking lot. 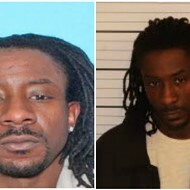 He was last seen heading into a wooded area behind the business complex, police say. 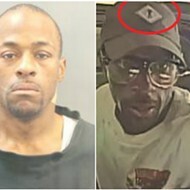 He is at least six feet tall, 170 to 190 pounds and between 35 and 40 years old, police say. 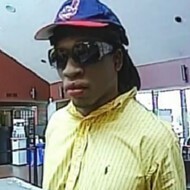 Along with his poncho, sweatshirt and pants, he was wearing a baseball cap, sunglasses and brown work boots. Police ask anyone with information to call Collinsonsville Detective Keith Jackson at 618-344-2131, extension 5291 or CrimeStoppers at 866-371-8477. 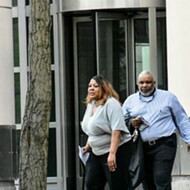 Full-length shot of the poncho bandit.